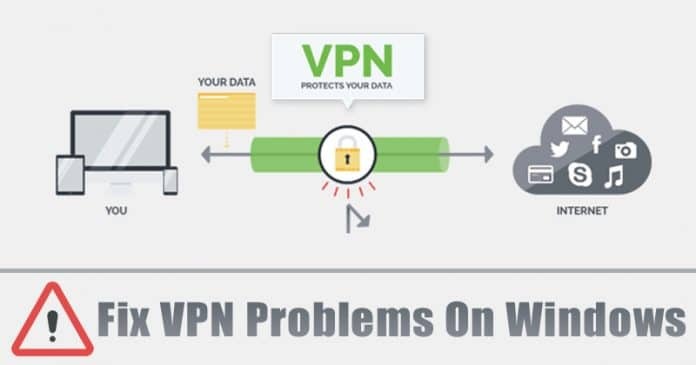 However, VPNs can also run into connection problems that need to be resolved. Although users don’t usually face problems while using VPN apps, but problems can happen. So, here in this article, we are going to share some methods which could help you to deal with VPN related issues. It’s of no doubt that the demise of popular torrent sites like Torrentz, ExtraTorrent, KickAss Torrents has given rise to the use of VPN apps. VPN which stands of Virtual Private Network can be used along with your Internet Service Provider to have numerous features. However, people mostly use VPN apps to gain access to the blocked website. The key benefit of VPN apps relies on the Privacy and its the only reason why the use of VPN apps are on the rise. You will find VPN apps for almost all major platform including Android, iOS, Windows, Mac, Linux, etc. Well, VPN not only allows users to access blocked sites, but it can also encrypt the connection. You can read out this article to know the reasons why you need to use a VPN app. However, VPNs can also run into connection problems that need to be resolved. Although users don’t usually face problems while using VPN apps, but problems can happen. So, here in this article, we are going to share some methods which could help you to deal with VPN related issues. The methods which we are going to share below will help you fix VPN not working on Windows 10 error messages. So, let’s check out how to fix VPN Not working error messages on Windows 10 computer. Well, if your main internet connection is not working, then you can’t blame VPN apps. So, this is one of the first things which you need to consider. If you just found that the VPN is not able to connect to the internet, check the internet connection. 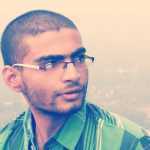 Check whether it’s active or not. If it’s not working, then you need to contact the ISP. If its working and receiving proper signal, then proceed to the next methods. Most of the VPN services available out there like NordVPN, ExpressVPN, etc. doesn’t require manual configuration. All you need to do is to choose the server and hit the connect button. However, if your VPN service needs manual configuration, then you need to check the settings. You can also check the quick-start guide provided with the VPN app to make essential settings. So, in this method, you need to double-check the settings to make sure everything is set correctly. If you are unable to connect to the internet while using a VPN, then you need to change the servers. If you are using a Premium VPN service, then it most likely to have a wide range of servers. So, in this method, users need to change the server to fix VPN not working on Windows 10 computer. While selecting a server, make sure to check the server load and ‘location’. For better speed, always select a server which is nearest to you. If you are still unable to connect to the internet while using a VPN, then you could try restarting the Router and computer. As we all know, a simple restart can fix a wide range of problems including network issues. So, make sure to restart the computer and router before you try the next methods. 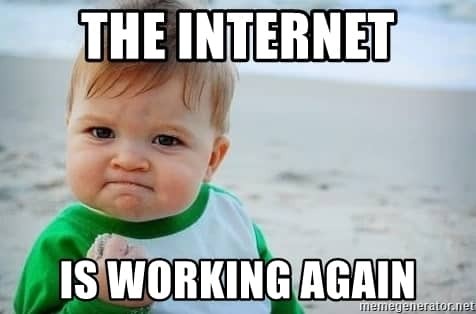 Once done, connect to the internet and check whether the VPN is working or not. If it’s not working, then follow the next methods. Well, Firewalls often cause network and VPN related troubles including VPN not working on Windows. 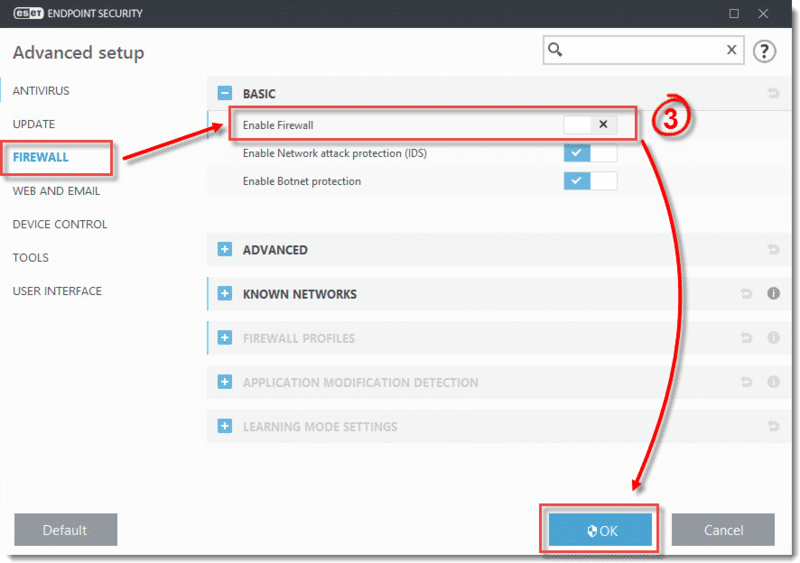 So, in this method, you need to disable the built-in Windows defender firewall to fix VPN and network issues. So, head to the Control Panel and visit firewall settings and disable it from there. If you are using Antivirus Software, then make sure to disable the ‘Internet Security’ option from there. Nowadays, laptops and desktop computers have both wired and wireless network adapter or cards. These two cards can operate simultaneously. However, you can only use one network connection at a time. Sometimes, those extra network adapters create problems, especially while connecting to the VPN. 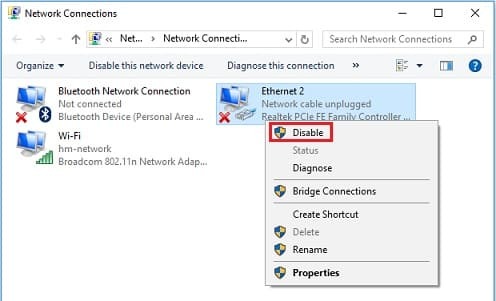 So, if you are unable to connect to the internet while using VPN, then open the Network adapter page and disable all expect ‘Ethernet’ and the ‘VPN’. This will probably fix all network related problem that caused due to VPN. 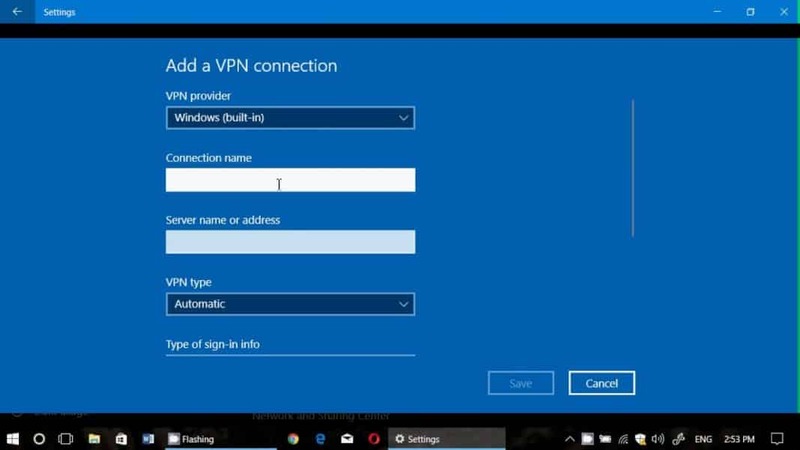 So, these are the 6 best methods to fix VPN Not working on Windows 10 problem. If you know any other method to fix the problem, let us know in the comment box below.